Autumn is here, the sun is no longer shining so powerfully, as during the Summer season. For some Ladies, the pigment spots are also here - unpleasant and disturbing, unwanted side effect from the Sun rises. But, there are solutions of this problem. 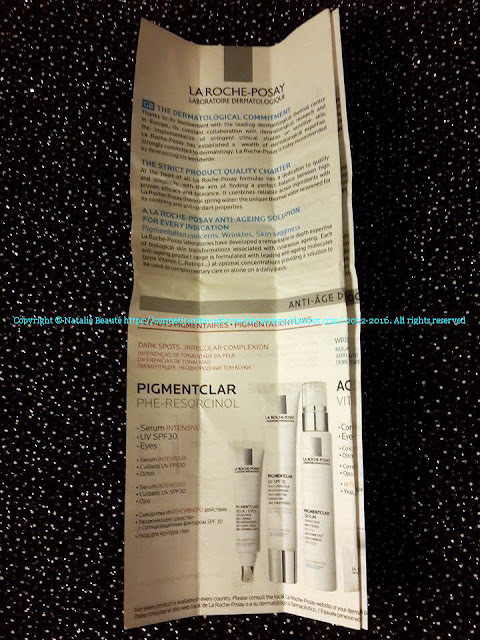 I want to make short note here, about a product, which caught my attention and has been recommended, as very good and working - PIGMENTCLAR by LA ROCHE-POSAY. PIGMENTCLAR is daily moisturizer, which evens skin tone and provides advanced protection UV SPF 30. "Pigmentclar Day Care combines the powerful Pigmentclar anti-dark spot complex with SPF and anti-pollution protection, to protect your skin from dull, greying complexion and visibly reduce the appearance of dark spots." 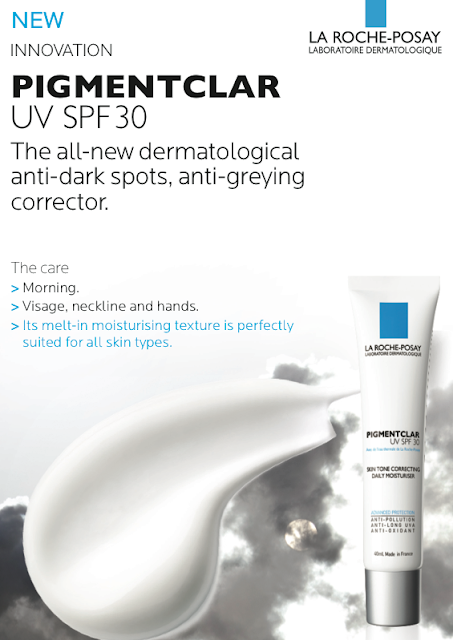 - ANTI-LONG UVA thanks to an innovative filter system UVB SPF 30 - UVA PPD 15. 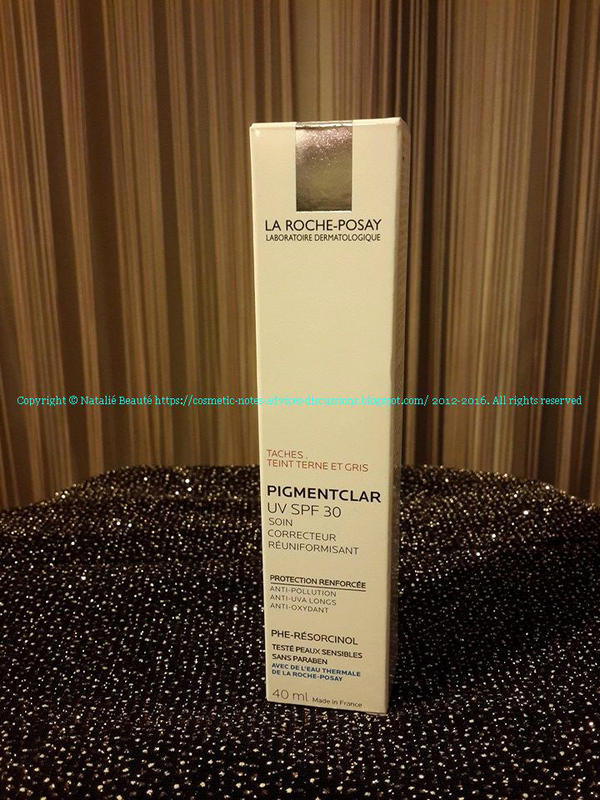 What is the secret of PIGMENTCLAR? 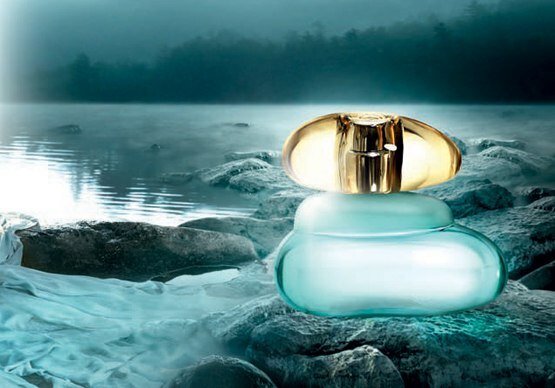 What is unique about its formulation? 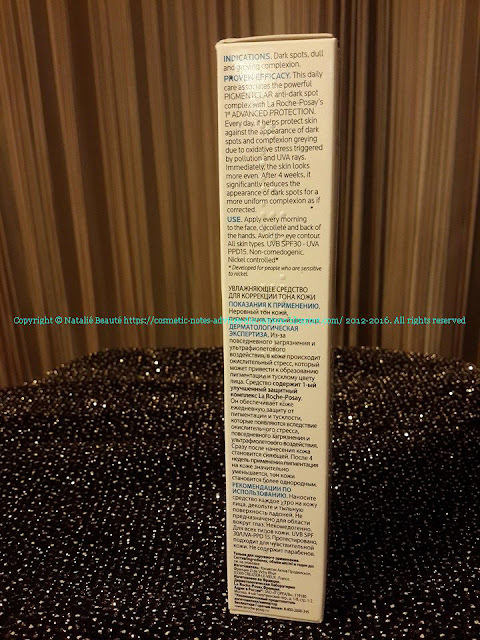 100 times more effective than Kojic Acid and just as effective as the reference medical active ingredient, PhE-Resorcinol is combined with Ferulic Acid and Ginkgo which complete its action due to their powerful anti-oxidising properties. 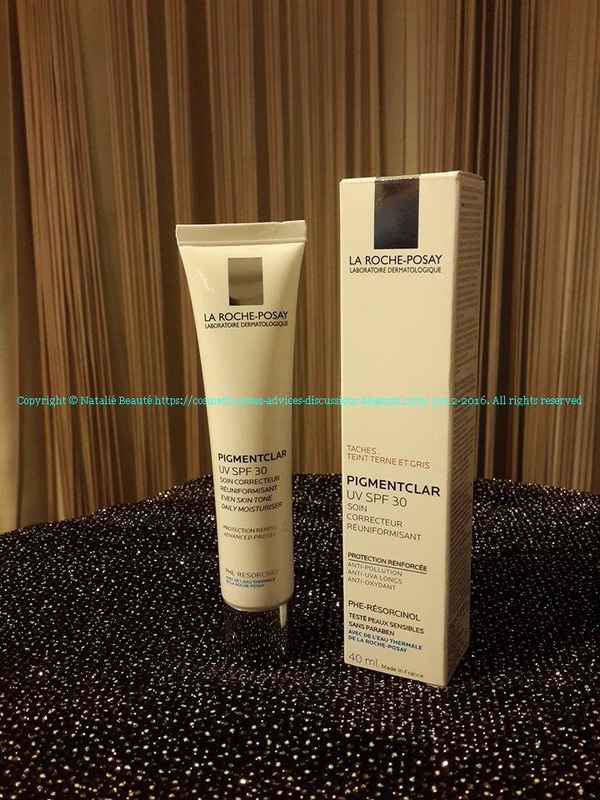 Lipo-Hydroxy-Acid, a flagship active ingredient from La Roche-Posay Laboratories, has for the first time been combined with PhE-Resorcinol. 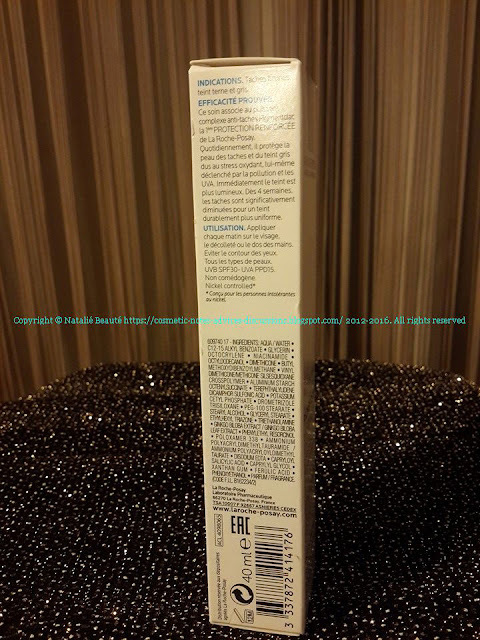 Its exfoliating action is 4 times better than that of salicylic acid, and is ideal for improving the appearance of dark spots while respecting sensitive skin. Recent studies have demonstrated that LHA also acts by strengthening the extracellular matrix. As for Niacinamide, it works to soothe the epidermal environment around the melanocytes." *If you are interested to read more about RESORCINOL, you can read more here and here. 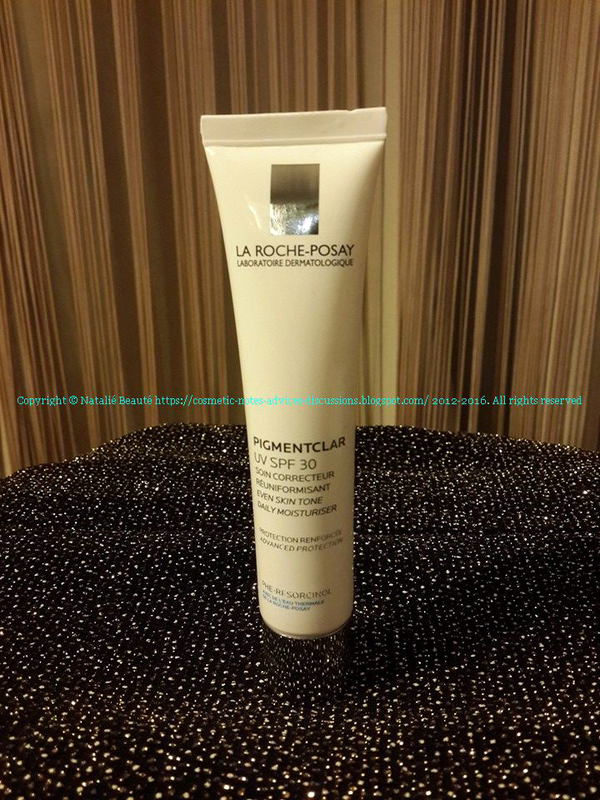 The combination between PHE-Resorcinol and LHA is the working key, which is fighting the dark spots. All these three special ingredients are in combination with Spring Water. Of course, on clear skin - this is always rule number one. Despite we all know it, I must mention this again. "Apply to the face, neck line or back of hands each morning. Avoid the eye contour area. Suitable for sensitive skin. No parabens." The product has texture between light cream and lotion. It's white, not perfumed, but has some almost not detectable scent. It doesn't leave your skin oily or sticky - it's oil-free. One minute after applying of the product, your skin gets matte finish. 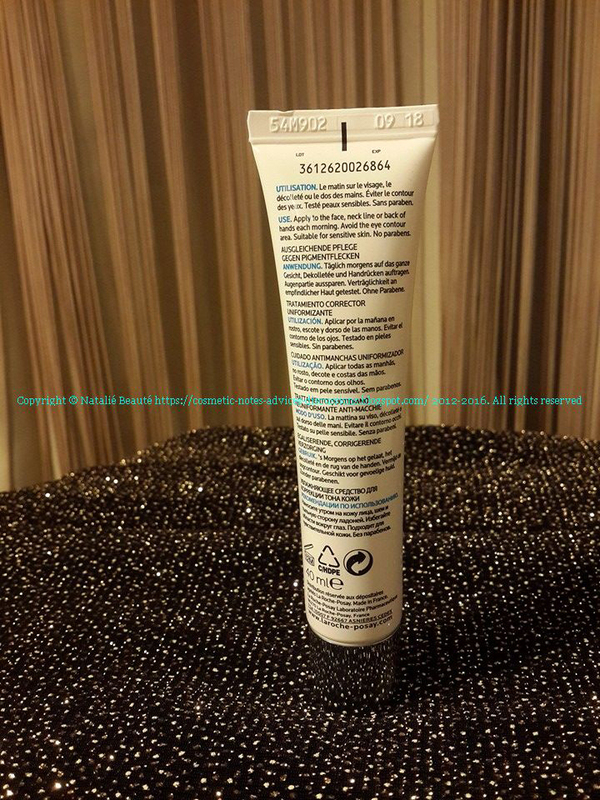 Hydrating, fast absorbing texture, very light and the skin absorbs it quickly. The combination of PHE-Resorcinol and LHA is the working tandem, which is fighting the dark spots. To get effect from this product, you must use it regularly - every day. It has soft effect - I mean, it's not aggressive product, with an immediate effect, but the result is coming with the time. It seems, it's on first place very well protective, and after - correcting product (even skin tone moisturizer). 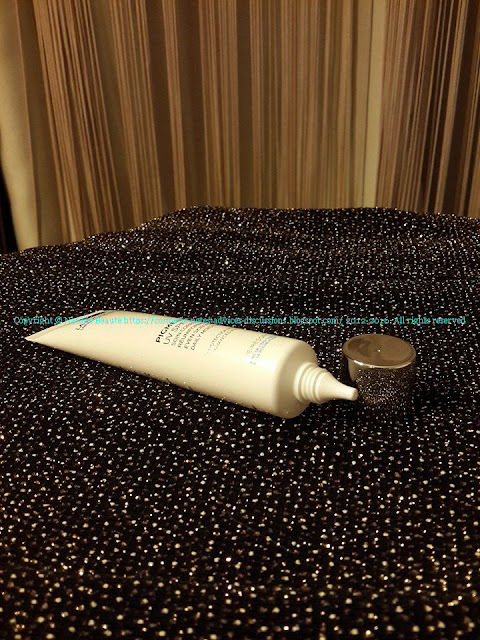 That's why, apply it on the suggested areas and If the problem area has easy visible (detectable not only from you) spots, than you can apply little bit more product there - as mask, stay 2-3 minutes and absorb the excess amount with a tissue. In this way the product protects and the same moment - working on the skin problem. Definitely working product. Delicate product, but with an effect visible after regular use. The Autumn is good season to start using it. Don't forget, that in generally is good to use face cream with Sun Protective Factor, especially during Summertime. It's good to be between UV SPF 30 and UV SPF 50. Of course, there are makeup products - foundations, cushions e.t.c., which have SPF already, so in case, if you are using such product, it's not necessary the light moisturiser under, to be with SPF. But how this combination is going to be, it's already your individual choice and decision. 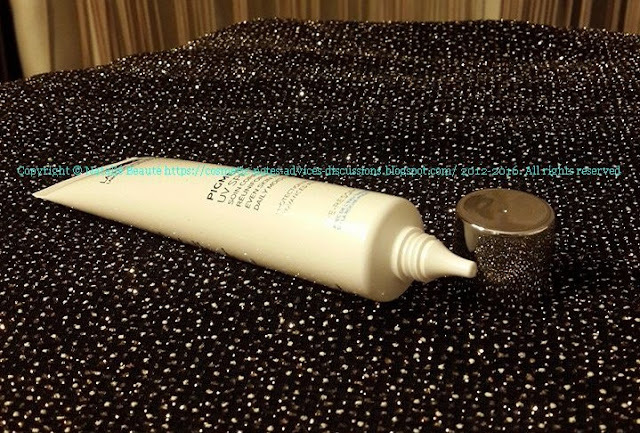 PIGMENTCLAR can be used also under your makeup or individually. Which product you'll choice is also your decision. I'm just giving you idea with product, which I've tried and I'm actually still using. I'm curious to learn other opinions, too. It would be great, if you share your experience about PIGMENTCLAR.